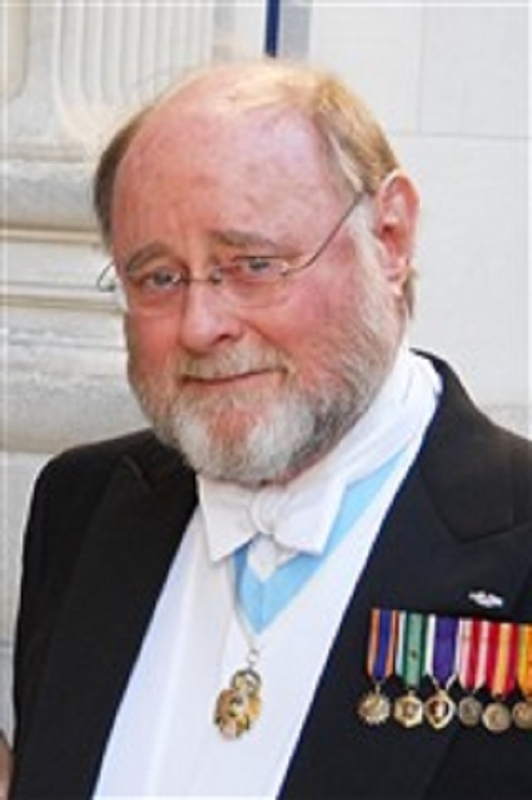 FORT BELVOIR, VA, July 24, 2018 — Marquis Who's Who, the world's premier publisher of biographical profiles, is proud to present Richard Bender Abell with the Albert Nelson Marquis Lifetime Achievement Award. An accomplished listee, Mr. Abell celebrates many years' experience in his professional network, and has been noted for achievements, leadership qualities, and the credentials and successes he has accrued in his field. As in all Marquis Who's Who biographical volumes, individuals profiled are selected on the basis of current reference value. Factors such as position, noteworthy accomplishments, visibility, and prominence in a field are all taken into account during the selection process. A prominent and versatile member of the federal judiciary, Mr. Abell has amassed nearly four decades of industry experience. He spent a bulk of his vocation as a special trial judge and special master for the U.S. Court of Federal Claims in Washington, DC, from 1991 to 2010. Previously, Mr. Abell served the U.S. Department of Justice as an assistant attorney general, appointed to this position by President Ronald Reagan and confirmed by the US Senate, for four years and deputy assistant attorney general in the Office of Justice Programs for three years. In addition, Mr. Abell also acted on behalf of the Peace Corps as the director of the Office of Program Development for two years, the U.S. Senate as a staff member to Senator Richard Schweiker for one year, and Chester County in Pennsylvania as a deputy sheriff for two years and assistant district attorney for five years. He was also National Chairman of the Young Republican National Federation and served on the national board of the Young Americans for Freedom. He commenced his career as an associate at Reilly & Fogwell from 1974 to 1980 and a volunteer for the Peace Corps in Colombia for two years. A respected expert in his fields, Mr. Abell has penned two books, “Sojourns of a Patriot: Field and Prison Papers of an Unreconstructed Confederate” in 1988 and “Peter Smith of Westmoreland County, Virginia (Died 1741), and Some Descendents” in 1996, and published many legal and criminology articles. Alongside his primary endeavors, Mr. Abell has been on the board of directors of the YR Alumni Network, Inc., since 2009, having formerly acted on the board of directors of the Federal Prison Industries, Inc., from 1985 to 1991. Likewise, he was co-chairman of the advisory committee for the Federal Law Enforcement Training Center from 1987 to 1990, chairman of the Crime Prevention Coalition of America from 1986 to 1990, and advisory board member of the National Institute of Corrections from 1986 to 1990. Delving briefly into academy, he was additionally a part of the adjunct faculty at the Delaware Law School at Widener University and West Chester University. Civically, he was chairman of the Fairfax Resident Council for the Fairfax Military Retirement Community from 2016-2018. Mr. Abell has further contributed to such causes as the President's Commission on Agricultural Workers, the Federal Coordinating Council on Juvenile Justice and Delinquency Prevention, the President's Task Force on Adoption, and the Republican National Committee. To prepare for his illustrious career, Mr. Abell pursued formal education at The George Washington University in 1966, where he received a Bachelor of Arts in international affairs. He subsequently earned a Doctor of Jurisprudence from the George Washington University in 1974, having subsequently been admitted to practice law in Pennsylvania the same year. While seeking higher education, Mr. Abell enlisted in the United States Army in 1969 until his retirement for wounds received in action in 1971. As a testament to his military successes, he was the recipient of the Combat Infantryman's Badge, the Army Commendation Medal for Heroism, the Air Medal, and the Purple Heart. He is also the recipient of the Jefferson Davis Historical Gold Medal. In an effort to remain aware of recent developments within his fields of interest, Mr. Abell has maintained affiliation with several societies and organizations. A Knight with the Venerable Order of St. John, he associates with the Order of the Indian Wars of the United States, the General Society of Colonial Wars, the Sons of the Revolution, the General Society of the War of 1812, The Society of the Cincinnati and The Aztec Club of 1847, among over 60 other genealogical associations, as genealogy and history are his passions. He is also active in his Anglican Catholic parish as senior warden and member of the vestry. Mr. Abell has been married to Lucia del Carmen Lombana-Cadavid since 1968, and is the proud father of three children and eight grandchildren. Notably, he was selected for inclusion in several editions of Who's Who in Finance and Business, Who's Who in Finance and Industry, Who's Who in America, Who's Who in American Law, Who's Who in American Politics, Who's Who in the East, Who's Who in the South and Southwest, and Who's Who in the World. In recognition of outstanding contributions to his profession and the Marquis Who's Who community, Mr. Abell has been featured on the Albert Nelson Marquis Lifetime Achievement website. Please visit www.ltachievers.com for more information about this honor.